September 30, 2014 admin People, Personal • ONE! Dr. Stan was ONE OF THE GREATEST TRUTH TELLERS OF ALL TIME!!! I felt badly that he wasn’t given more credit and air time by those who had a bigger platform. His real-history perspective was badly needed. And he understood there are dark, spiritual forces behind the globalists’ agenda. Thank you, Dr. Stan for all you’ve done to help so many, most of whom didn’t want to hear. He did five hours of radio per day anyway, trying to reach as many as possible, even up until the end. In 2004, I suggested that he might do less hours per day, but he said, “no, no….” He interviewed Joel Skousen for the last time on 9/18/14. Joel has long been a weekly guest for many years, which I almost always listened to, and often reported on at ToBeFree. It’s sad to see that you’ve passed before seeing spiritual revival come, which is what we needed to significantly enough change America, while we still had the chance. Dr. Stanley Monteith, the nationally syndicated radio host and author who spent nearly 50 years exposing the globalist agenda, paving the way for many patriots to do the same, passed away this morning at the age of 85. For many decades, Dr. Monteith blazed the trail for liberty radio and his tireless work revolutionized the liberty movement. “Dr. Stan,” as he was known, served on the front lines warning of the spiritual battle taking place between good and evil and did tremendous work in exposing the vast network of secret societies and mysterious forces behind the men who make up the “Brotherhood of Darkness.” He was also a pioneer in warning about the dangers of fluoride, vaccines and America’s fiat Federal Reserve currency. Dr. Monteith was also a good friend and a source of inspiration for Alex Jones. The classic introduction of Dr. Stan’s radio show, Radio Liberty, galvanized listeners into actively searching for the real truth rather than accepting the false explanations of the world around them without question. From the entire Infowars staff, our condolences go out to Dr. Monteith’s family. May he rest in peace. “Bright Lights” is currently my favorite song. Not the words so much, but the “things are not okay” attitude rammed home hard! Great to pray in the Holy Spirit against the forces of darkness to!!!!!!! The third song is great too! Gary Clark Jr. performs “When My Train Pulls In” at the Farm Aid concert in Raleigh, NC on September 13, 2014 Farm Aid was started by Willie Nelson, Neil Young and John Mellencamp in 1985 to keep family farmers on the land and has worked since then to make sure everyone has access to good food from family farmers. Dave Matthews joined Farm Aid’s board of directors in 2001. Farm Aid’s performances are donated by the artists in order to raise funds and raise awareness for family farmers. They’ve raised their voices to help — what can you do? Much of the increased awareness of the situation, Brog reports, comes from evangelical experts on the Middle East who are speaking and writing widely on this issue, producing documentaries, organizing trips to the region, and creating conferences to inform Christians on the facts. In the last few years three documentaries were made by Christians specifically for Christians to inform them on Palestine: With God on Our Side, Little Town of Bethlehem, and The Stones Cry Out. They were created by, respectively, Porter Speakman, a former Youth with a Mission member, Mart Green, chairman of the board of trustees of Oral Roberts University, and Yasmine Perni, an Italian journalist. Brog also names evangelicals such as Jim Wallis, Stephen Sizer, Tony Campolo, Serge Duss and sons Brian and Matt, and Palestinian Christians such as Sami Awad and Naim Ateek as among those educating Christians on Palestine. Brog writes that Oral Roberts University “has deep conservative Christian roots.” “Oral Roberts himself was a Pentecostal televangelist and a strong friend of Israel,” a number of major preachers in America graduated from the school, and pro-Israel preacher John Hagee has been on its board of trustees. Today, however, the chair of the board of trustees chair is the aforementioned Mart Green, whose film is a powerful depiction of the Palestinian nonviolence movement. The university’s current president is Dr. William “Billy” Wilson, who was named as a speaker for what Brog calls “the leading anti-Israel Christian conference,” Christ at the Checkpoint, held at Bethlehem Bible College in March 2014. * May use silent treatment at times or pout. A great defense mechanism a Jezebel will use for control is the silent treatment. If things are not going his/her way he/she will ignore you completely with the silent treatment and pout until he/she does get his/her way. No matter how long it takes. Scientists have found that the female brain is ‘hard-wired’ to be better at multitasking. Men’s brains, in comparison, are better at concentrating on single complex tasks – whether it be reading a map or cooking a meal. Scientists scanned the brains of 949 young men and women in the biggest investigation of its kind to date. 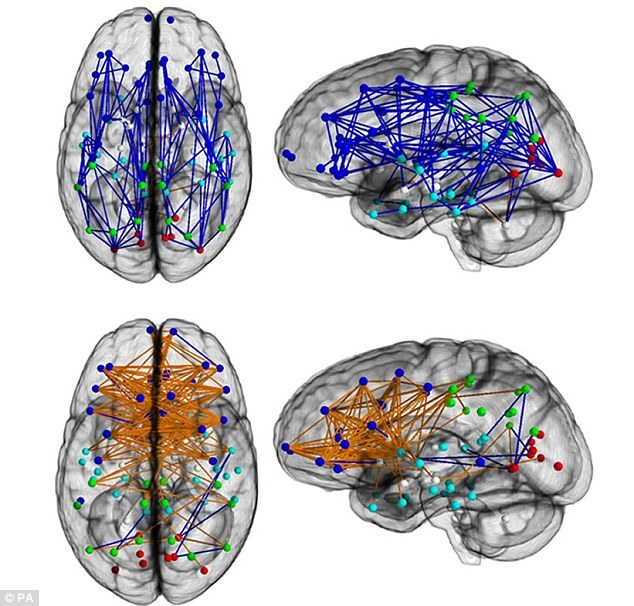 Using hi-tech diffusion MRI imaging, they mapped the connections between the different parts of the brains. The researchers discovered that women have far better connections between the left and right sides of the brain, while men display more intense activity within the brain’s individual parts, especially in the cerebellum, which controls motor skills. Men also have better connections between the front and back of the brain, giving them a better ability to quickly perceive information and use it immediately to carry out complex tasks. This means they are better at things such as learning to swim or, as the old bone of contention has it, parking a car. Women are better at, for example, remembering a face, which means making connections between different parts of the brain. The results are likely to be seen as supporting the theory behind best-selling pop psychology book Men Are From Mars, Women Are From Venus – that the sexes are as different as alien races. Dr Ragini Verma, who carried out the study with colleagues at the University of Pennsylvania, said: ‘Of course individuals will differ, always. ‘But we said, if you take 1,000 people and analyse the data statistically…. September 22, 2014 admin "The LOVE of MONEY", Real History • ONE!, Revival • ONE!, The Church is Getting Jacked! This is BREATHTAKING FOR ME!!! I was stunned, with a big smile listening! I attended 33 of Rodney’s 36 Anchorage, Alaska REVIVAL meetings at Anchorage Christian Center (ACC) in 1992, in which I was GREATLY blessed!!! Now, I find out that RODNEY IS ALSO AN INFOWARRIOR! He’s aware of what’s going with the NWO, and not afraid to talk about it! See the many quotes I TRANSCRIBED from this discussion, below. the Luciferian elite who seek to build a New World Order. Extermination camps. Construction worker called Rodney: gas lines being piped into big rooms. Charles Grandison Finney (August 29, 1792 – August 16, 1875) was an American Presbyterian minister and leader in the Second Great Awakening in the United States. He has been called The Father of Modern Revivalism. Finney was best known as an innovative revivalist during the period 1825-1835 in upstate New York and Manhattan, an opponent of Old School Presbyterian theology, an advocate of Christian perfectionism, and a religious writer. TEXT.–“Feed My lambs.”–John xxi. 15. I. Several other points upon which young converts ought to be instructed. II. To show the manner in which young converts should be treated by the church. III. Mention some of the evils which naturally result from defective instructions given in that stage of Christian experience. I. I shall pursue the subject, taking it up where I left off, by mentioning some further instructions which it is important should be given to young converts. Negatively, what religion does not consist in. (1.) Not in doctrinal knowledge. Knowledge is essential to religion, but it is not religion. The devil has doctrinal knowledge, but he has no religion. A man may have doctrinal knowledge to any extent, without a particle of religion. Yet some people have very strange ideas on this subject, as though having doctrinal knowledge indicated an increase of piety. I once heard a remark of this kind. In a certain instance, where some young converts had made rapid progress in doctrinal knowledge, a person who saw it said, “How these young converts grow in grace.” Here he confounded improvement in knowledge with improvement in piety. The truth was, that he had no means of judging of their growth in grace, and it was no evidence of it because they were making progress in doctrinal knowledge. (2.) They should be taught that religion is not a substance. It is not any root, or sprout, or seed, or any thing else in the mind, as a part of the mind itself. Persons often speak of religion as if it was something that may be covered up in the mind, just as a spark of fire may be covered up in the ashes, which does not show itself, and which produces no effects, but yet lives and is ready to act as soon as it is uncovered. And in like manner they think they may have religion, as something remaining in them, although they do not manifest it by obeying God. But they should be taught that this is not the nature of religion. It is not part of the mind itself, nor of the body, nor is it a root, or seed, or spark, that can exist and yet be hid and produce no effects. (3.) Teach them that religion does not consist in raptures, or extacies,[sic.] or high flights of feeling. There may be a great deal of these where there is religion. But it ought to be understood that they are all involuntary emotions, and may exist in full power where there is no religion. They may be the mere workings of the imagination, without any truly religious affection at all. Persons may have them to such a degree as actually to swoon away with ecstasy, even on the subject of religion, without having any religion. I have known one person almost carried away with rapture, by a mere view of the natural attributes of God, his power and wisdom, as displayed in the starry heavens, and yet the person had no religion. Religion is obedience to God, the voluntary submission of the soul to the will of God . (4.) Neither does religion consist in going to meeting or reading the Bible, or praying, or any other of what are commonly called religious duties. The very phrase, “religious duties,” ought to be stricken out of the vocabulary of young converts. They should be made to know that these acts are not religion. Many become very strict in performing certain things, which they call religious duties, and suppose that is being religious; while they are careless about the ordinary duties of life, which in fact constitute A LIFE OF PIETY. Prayer may be an expression and an act of piety, or it may not be. Going to church or to a prayer meeting, may be considered either as a means, an act, or an expression of pious sentiment; but the performance of these, does not constitute a man a Christian, and there may be great strictness and zeal in these, without a particle of religion. If young converts are not taught to discriminate, they may be led to think there is something peculiar in what are called religious duties, and to imagine they have a great deal of religion because they abound in certain actions that are commonly called religious duties, although they may at the same time be very deficient in honesty or faithfulness or punctuality, or temperance, or any other of what they choose to call their common duties. They may be very punctilious in some things, may tithe mint, anise and cummin, and yet neglect the weightier matters of the law, justice and the love of God. (5.) Religion does not consist in desires to do good actions. Desires that do not result in choice and action are not virtuous. Nor are such desires necessarily vicious. They may arise involuntarily in the mind, in view of certain objects, but while they produce no voluntary act, they are no more virtuous or vicious than the beating of the pulse, except in cases where we have indirectly willed them into existence, by voluntarily putting ourselves under circumstances to excite them. The wickedest man on earth may have strong desires after holiness. Did you ever think of that? He may see clearly that holiness is the only and indispensable means of happiness. And the moment he apprehends holiness as a means of happiness, he naturally desires it. It is to be feared, that multitudes are deceiving themselves with the supposition, that a desire for holiness, as a means of happiness, is religion. Many doubtless, give themselves great credit for desires that never result in choosing right. They feel desires to do their duty, but do not choose to do it, because upon the whole they have still stronger desires not to do it. In such desires, there is no virtue. An action or desire to be virtuous in the sight of God, must be an act of the will. People often talk most absurdly on this subject, as though their desires had anything good, while they remain mere desires. “I think I desire to do so and so.” But do you do it. “O no, but I often feel a desire to do it.” This is practical atheism. Whatever desires a person may have, if they are not carried out into actual choice and action, they are not virtuous. And no degree of desire is itself virtuous. If this idea could be made prominent, and fully riveted in the minds of men, it would probably annihilate the hopes of half the church, who are living on their good desires, while doing nothing for God. (6.) They should be made to understand that nothing which is selfish, is religion. Whatever desires they may have, and whatever choices and actions they may put forth, if after all the reason of them is selfish, there is no religion in them. A man may just as well commit sin in praying, or reading the Bible, or going to meeting, as in any thing else, if his motive is selfish. Suppose a man prays simply with a view to promote his own happiness. Is that religion? What is it, but attempting to make God his almighty servant? It is nothing else but to attempt a great speculation, and put the universe, God and all, under contribution to make him happy. It is the sublime degree of wickedness. It is so far from being piety, that it is in fact superlative wickedness. (7) Nothing is acceptable to God, as religion, unless it is performed heartily, to please God. No outward action has any thing good, or any thing that God approves, unless it is performed from right motives, and from the heart. (b) Young converts should be taught fully and positively that all religion consists in obeying God from the heart. All religion consists in voluntary action. All that is holy, all that is lovely in the sight of God, all that is properly called religion, consists in voluntary action, in voluntarily obeying the will of God from the heart. 2. Young converts should be taught that the duty of self-denial is one of the leading features of the gospel. They should understand that they are not pious at all, any farther than they are willing to take up their cross daily, and deny themselves, for Christ. There is but very little self-denial in the church, and the reason is, that the duty is so much lost sight of, in giving instruction to young converts. How seldom are they told that self-denial is the leading feature of Christianity. In pleading for benevolent objects, how often will you find, that ministers and agents do not even ask Christians to deny themselves for the sake of promoting the object. They only ask them to give what they can spare as well as not, in other words, to offer unto the Lord that which costs them nothing. What an abomination! They only ask for the surplus, for what they do not want, for what they can give just as well as not. There is no religion in this kind of giving. A man may give to a benevolent object, a hundred thousand dollars, and there would be no religion in it, if he could give it as well as not, and there was no self-denial in it. Jesus Christ exercised self-denial to save sinners. So has God the Father exercised self-denial in giving his Son to die for us, and in sparing us, and in bearing with our perverseness. The Holy Ghost exercises self-denial, in condescending to strive with such unholy beings to bring them to God. The angels exercise self-denial, in watching over this world. The apostles planted the Christian religion among the nations by the exercise of self-denial. And are we to think of being religious without any self-denial? Are we to call ourselves Christians, the followers of Christ, the temples of the Holy Ghost, and to claim fellowship with the apostles, when we have never deprived ourselves of any thing that would promote our personal enjoyment for the sake of promoting Christ’s kingdom? Young converts should be made to see that unless they are willing to lay themselves out for God, and ready to sacrifice life and every thing else for Christ, they have not the spirit of Christ, and are none of his. 3. They must be taught what sanctification is. “What!” you will say, “do not all who are Christians know what sanctification is?” No, many do not. Multitudes would be as much at a loss to tell intelligibly what sanctification is, as they would be to tell what religion is. If the question were asked of every professor of religion in this city, What is sanctification? I doubt if one in ten would give a right answer. They would blunder just as they do when they undertake to tell what religion is, and speak of it as something dormant in the soul, something that is put in, and lies there, something that may be practised or not, and still be in them. So they speak of sanctification as if it were a sort of washing off of some defilement, or a purging out of some physical impurity. Or they will speak of it as if the faculties were steeped in sin, and sanctification is taking out the stains. This is the reason why some people will pray for sanctification, and practise sin, evidently supposing that sanctification is something that precedes obedience. They should be taught that sanctification is not something that precedes obedience, some change in the nature or the constitution of the soul. But sanctification is obedience, and, as a progressive thing, consists in obeying God more and more perfectly. 4. Young converts should be taught so as to understand what perseverance is. It is astonishing how people talk about perseverance. As if the doctrine of perseverance was “Once in grace, always in grace,” or, “Once converted, sure to go to heaven.” This is not the idea of perseverance. The true idea is, that if a man is truly converted, he will continue to obey God. And as a consequence, he will surely go to heaven. But if a person gets the idea, that because he is converted, therefore he will assuredly go to heaven, that man will almost assuredly go to hell. 5. Young converts should be taught to be religious in every thing. They should aim to be religious in every department of life and in all that they do. If they do not aim at this, they should understand that they have no religion at all. If they do not intend and aim to keep all the commandments of God, what pretence can they make to piety? Whosoever shall keep the whole law and yet offend in one point, he is guilty of all. He is justly subject to the whole penalty. If he disobeys God habitually in one particular, he does not in fact obey him in any particular. Obedience to God consists in the state of the heart. It is being willing to obey God; willing that God should rule in all things. But if a man habitually disobeys God, in any one particular, he is in a state of mind, that renders obedience in any thing else impossible. To say that in some things a man obeys God, out of respect to his authority, and that in some other things he refuses obedience, is absurd. The fact is, that obedience to God consists in an obedient state of heart, a preference of God’s authority and commandments to every thing else. If, therefore, an individual appears to obey in some things, and yet perseveringly and knowingly disobeys in any one thing, he is deceived. He offends in one point, and this proves that he is guilty of all; in other words, that he does not, from the heart, obey at all. A man may pray half of the time and have no religion; if he does not keep the commandments of God, his very prayer will be hateful to God. “He that turneth away his ear from hearing the law, even his prayer shall be abomination.” Do you hear that? If a man refuses to obey God’s law, if he refuses to comply with any one duty, he cannot pray, he has no religion, his very devotions are hateful. 6. Young converts, by proper instructions, are easily brought to be “temperate in all things.” Yet this is a subject greatly neglected in regard to young converts, and almost lost sight of in the churches. There is a vast deal of intemperance in the churches. I do not mean intemperate drinking, in particular, but intemperance in eating, and in living generally. There is in fact but little conscience about it in the churches. And therefore the progress of reform in the matter is so slow. Nothing but an enlightened conscience can carry forward a permanent reform. Ten years ago, most ministers used ardent spirit, and kept it in their houses to treat their friends and their ministering brethren with. And the great body of the members in the churches did the same. Now there are but few of either, who are not actual drunkards, that will do so. But still there are many that indulge without scruple in the use of wine. Chewing and smoking tobacco are mere acts of intemperance. If they use these mere stimulants when there is no necessity for it, what is that but intemperance? That is not being temperate in all things. Until Christians shall have a conscience on this subject, and be made to feel that they have no right to be intemperate in any thing, they will make but little progress in religion. It is well known, or ought to be, that TEA AND COFFEE have no nutriment in them [Many health practitioners today would disagree, when taken in moderation – editor]. They are mere stimulants. They go through the system without being digested. The milk and sugar you put in them are nourishing. And so they would be just as much so, if you mixed them with rum, and made milk punch. But the tea and coffee afford no nourishment. And yet I dare say, that a majority of the families in this city give more in a year for their tea and coffee, than they do to save the world from hell. Probably this is true respecting entire churches. Even agents of benevolent societies will dare to go through the churches soliciting funds, for the support of missionary and other institutions, and yet use tea, coffee, and, in some cases tobacco. Strange! There is now in this city, an agent employed in soliciting funds, who uses all three of these worse than useless stimulants. No doubt many are giving five times as much for mere intemperance, as they give for every effort to save the world. If the church could be made to know how much they spend for what are mere poisons and nothing else, they would be amazed. Sit down and talk with many persons, and they will strenuously maintain that they cannot get along without these stimulants, these poisons, and they cannot give them up–no, not to redeem the world from eternal damnation. And very often they will absolutely show anger if argued with, just as soon as the argument begins to pinch their consciences. O, how long shall the church show her hypocritical face at the Monthly Concert, and pray God to save the world, while she is actually throwing away five times as much for sheer intemperance, as she will give to save the world. Some of you may think these are little things, and that it is quite beneath the dignity of the pulpit to lecture against tea and coffee. But I tell you it is a great mistake of yours, if you think these are little things, when they make the church odious in the sight of God, by exposing her hypocrisy and lust. Here is an individual who pretends he has given himself up to serve Jesus Christ, and yet he refuses to deny himself any darling lust, and then he will go and pray, “O Lord, save the world; O Lord, thy Kingdom come.” I tell you it is hypocrisy. Shall such prayers be heard? Unless men are willing to deny themselves, I would not give a groat for the prayers of as many such professors as would cover the whole United States. These things must be taught to young converts. It must come to this point in the church, that men shall not be called Christians, unless they will cut off the right hand, and pluck out the right eye, and deny themselves for Christ’s sake. A little thing? See it poison the spirit of prayer! See it debase and sensualize the soul! Is that a trifle beneath the dignity of the pulpit? When these intemperate indulgences, of one kind and another, cost the church five times if not fifty times more than all they do for the salvation of the world. The time to teach these things with effect, is when they are young converts. If converts are not properly taught then, if they get a wrong habit, and begin with an easy, self-indulgent mode of living, it is rare that they are ever thoroughly reformed. I have conversed with old professors on these subjects, and have been astonished at their pertinacious obstinacy in indulging their lusts. And I am satisfied that the church never can rise out of this sloth until young converts are faithfully taught in the outset of their religious course to be temperate in all things. 7. They should be taught to have just as much religion in all their business, as they have in prayer, or in going to meeting. They should be just as holy, just as watchful, aim just as singly at the glory of God, be just as sincere and solemn, in all their daily employments, as when they come to the throne of grace. If they are not, their Sabbath performances will be an abomination. 8. They should be taught that it is necessary for them to be just as holy as they think ministers ought to be. There has for a long time been an idea that ministers are bound to be holy and practice self-denial. And so they are. But it is strange they should suppose that ministers are bound to be any more holy than other people. They would be shocked to see a minister showing levity, or running after the fashions, or getting out of temper, or living in a fine house, or riding in a coach. O, that is dreadful! It does not look well in a minister. Indeed! For a minister’s wife to wear such a fine bonnet, or such a silk shawl. O, no. But they think nothing of all this in a layman, or a layman’s wife. That is no offence at all. I am not saying that these things do look well in a minister; I know they do not. But they look in God’s eyes, just as well in a minister as they do in a layman. You have no more right to indulge in vanity and folly and pride than a minister. Can you go to heaven without being sanctified? Can you be holy without living for God, and doing all that you do to his glory? I have heard professedly good men speak against ministers’ having large salaries, and living in an expensive style, when they themselves were actually spending a great deal more money for the support of their families, than any ministers. What would be thought of a minister, living in the style in which many professors of religion, and elders of churches are living in this city. Why every body would say that they were hypocrites. But, it is just as much an evidence of hypocrisy in a layman to spend God’s money to gratify his lusts, or to please the world, or his family, as it is for a minister to do the same. It is distressing to hear some of our foremost laymen talk of its being dishonorable to religion, to give ministers a large salary, and let them live in an expensive style, when it is a fact that their own expenses, are, for the number of their families and the company they have, far above that of almost any minister. All this arises out of fundamentally wrong notions imbibed while they were young converts. Young converts have been taught to expect that ministers will have all the religion, especially all the self-denial, and so long as this continues there can be no hope that the church will ever do much for the glory of God, or for the conversion of the world. There is nothing of all this in the Bible. Where has God said, “You, ministers, love God with all your heart and soul and mind, and strength,” or “You ministers do all that you do to the glory of God?” This is said to all alike, and he who attempts to excuse himself from any duty or self-denial, from any watchfulness or sobriety, by putting it off upon ministers, or who ventures to adopt a lower scale of holy living for himself than he thinks is proper for a minister, is in great danger of proving himself a hypocrite, and paying the forfeit of his foolishness in hell. Much depends on the instructions given to young converts. If they once get into the habit of supposing that they may indulge in things which they would condemn in a minister, it is ten to one if they will ever get out of it. 8. They should aim at being perfect. Every young convert should be taught, that if it is not his purpose to live without sin, he has not yet began to be religious. What is religion, but a supreme purpose of heart or disposition to obey God? If there is not this, there is no religion at all. It is one thing to profess to be perfect, and another thing to profess and feel that you ought to be perfect. It is one thing to say, that men ought to be perfect, and can be if they are so disposed, and another thing to say that they are perfect. If any are prepared to say that they are perfect, all I have to say is, Let them prove it. If they are so, I hope they will show it by their actions, otherwise we can never believe they are perfect. But it is the duty of all to aim at being perfect. It should be their constant purpose, to live wholly to God, and obey all his commandments. They should live so, that if they should sin it would be an inconsistency, an exception, an individual case, in which they act contrary to the fixed and general purpose and tenor of their lives. They ought not to sin at all, they are bound to be as holy as God is, and young converts should be taught to set out in the right course, or they will never be right. 9. They should be taught to exhibit their light. If the young convert does not exhibit his light, and hold it up to the world, it will go out. If he does not bestir himself, and go forth and try to enlighten those around him, his light will go out, and his own soul will soon be in darkness. Sometimes young converts seem disposed to be still and not do any thing in public till they get a great deal of light, or a great deal of religion. But this is not the way. Let the convert use what he has. let him hold up his little twinkling rush-light, boldly and honestly, and then God will pour in the oil and make him like a blazing torch. But God will not take the trouble to keep a light burning that is hid. Why should he? Where is the use? This is the reason why so many people enjoy so little in religion. They do not exert themselves to honor God. They keep what little they do enjoy, so entirely to themselves, that there is no good reason why God should bestow blessings and benefits on them. Young converts should be taught so as to understand what perseverance is. It is astonishing how people talk about perseverance. As if the doctrine of perseverance was “Once in grace, always in grace,” or, “Once converted, sure to go to heaven.” This is not the idea of perseverance. The true idea is, that if a man is truly converted, he will continue to obey God. And as a consequence, he will surely go to heaven. But if a person gets the idea, that because he is converted, therefore he will assuredly go to heaven, that man will almost assuredly go to hell.